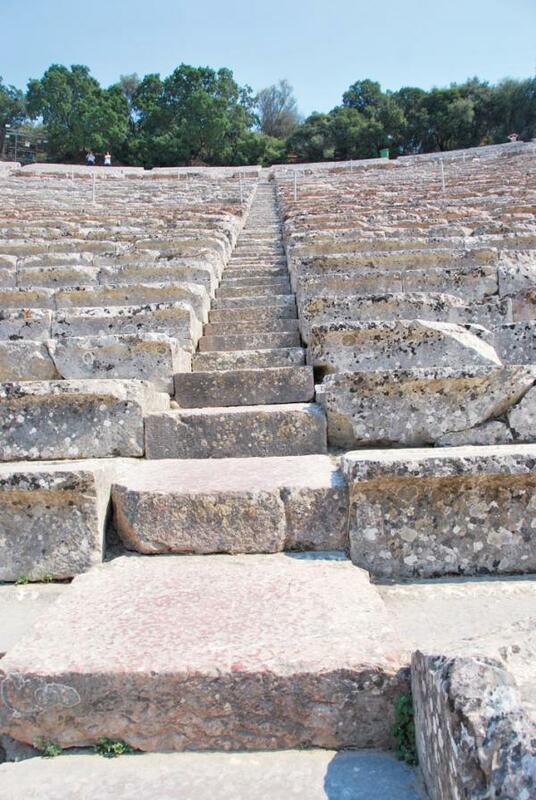 is considered the greatest ancient Greek theater in terms of acoustics and aesthetics. 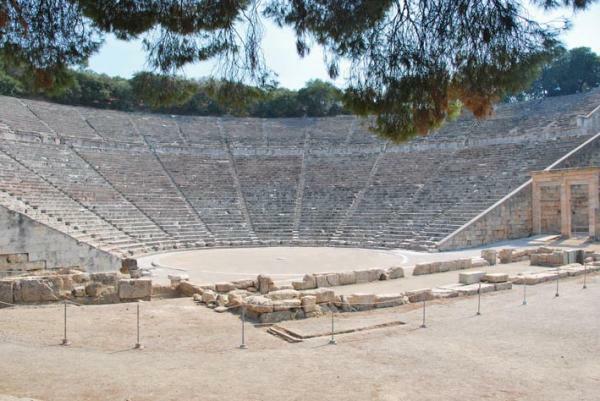 Its capacity is 13,000 spectators and is located in the area of Epidaurus Asklepios, just 14 km from the village Lygourio. 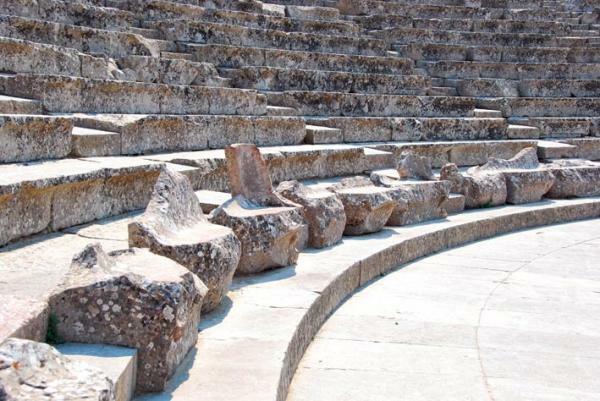 The theater, a strong element of the ancient Greek religion, was built in the late fourth century BC on the slopes of Kynortyou to entertain the patients of Asklepios. It operated for several centuries and in 395 AD Goths invasion of the Peloponnese caused serious damage to Asklepion. In 426 AD Theodosius the Great, prohibits the operation of Asklepios and the temple of Epidaurus finally closes after nearly 1,000 years. Natural disasters and human interventions complete devastation of the area. The ancient theater was revealed after excavations were conducted by archaeologist P. Kavadias, under the auspices of the Athens Archaeological Society during the period 1870-1926. 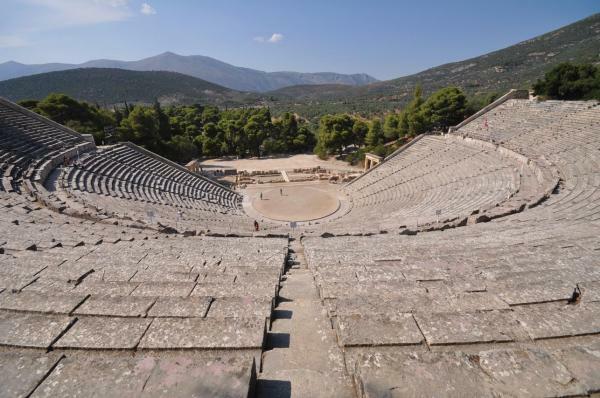 A few years later, in 1938, the first performance ("Electra" of Sophocles) took place at the ancient theater of Epidaurus. The performances were ceased during the Second World War and in the early 50’s, the theater was restored and made to fit a large number of spectators. 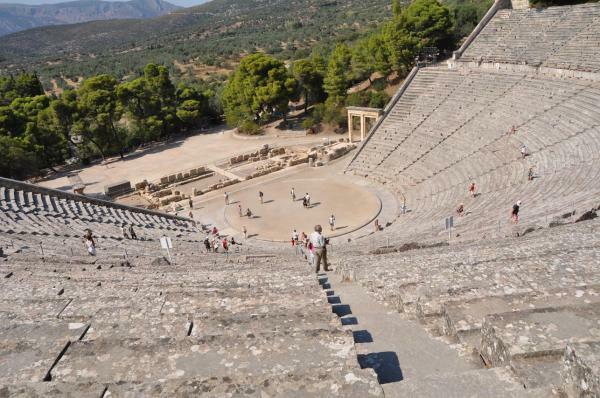 Finally, in 1955, the Epidaurus Festival, which includes performances every summer, was launched. It is worth mentioning that some of the greatest Greek and foreign actors have had the honor of performing at the ancient theater of Epidaurus. . Wandering inside the theater the visitors will be enchanted by the sights and monuments of the temple of Asklepios (375 BC) on the north slope of the hill, the temple ofApollo Maleata 4th century BC, the "Enkoimeterion or Avaton ', the patients’ hall, the mysterious circular structure Dome and thetemples of Aphrodite, Artemis and Themis, most of which are under maintenance and restoration.